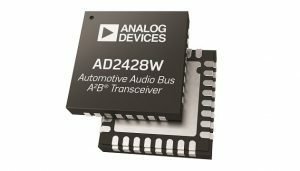 Analog Devices, Inc. (ADI) announced three enhanced Automotive Audio Bus (A2B) transceivers that deliver unprecedented capability to tailor system-level performance to even the most stringent electromagnetic compatibility (EMC) requirements. The new AD242x series offers configurable transmit power levels, enabling the developer to match system performance to specific OEM EMC requirements – a key design criterion for all feature-rich automotive infotainment systems. 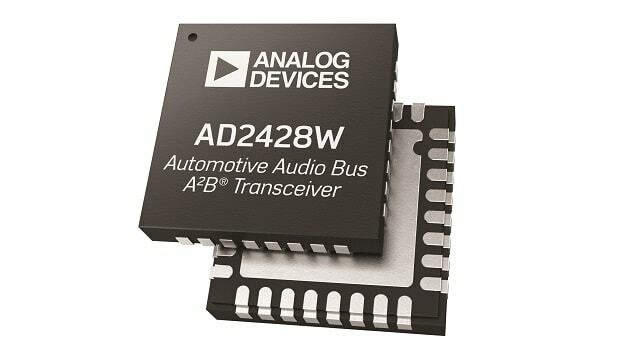 The Automotive Audio Bus transceivers also allow expanded use cases for microphone connectivity and significantly reduce cabling complexity by distributing audio and control data plus clock and power over a single, unshielded twisted-pair wire. 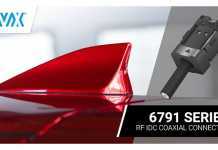 These features drastically lower system cost and are ideal for emerging multi-mic applications such as road noise cancellation, in-car communications, and autonomous driving. 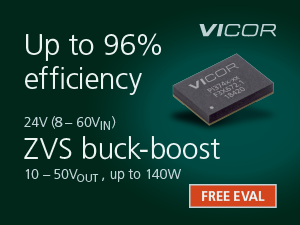 The new AD2426W, AD2427W and AD2428W devices are fully pin-compatible with existing series members, simplifying upgrade and speeding time to market. ADI’s A2B technology offers a fully deterministic, scalable and cost-effective means to address the rigorous performance requirements of next generation, latency-sensitive audio and voice applications. 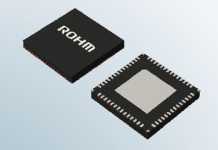 The most recent generation of pin-compatible A2B transceivers extends the core A2B feature set to include additional features that improve system-level flexibility – particularly in microphone array applications. 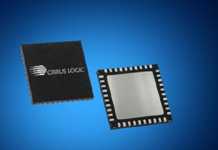 The new AD242x devices are capable of routing data from up to 4 PDM microphones to the local I2S port for beam-forming or other local data processing. Further enhancements to the AD242x allow for concurrently receiving up to 4 PDM mic inputs plus an additional I2S audio stream, addressing advanced mic connectivity use cases. The AD242x devices are fully released to production and are available now in a 32-lead LFCSP (5mm x 5mm) package. 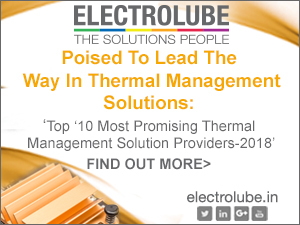 These new devices and all previously released A2B series members are supported within ADI’s SigmaStudio graphical development environment as well as an extensive ecosystem of third-party development, prototyping, and evaluation solutions. 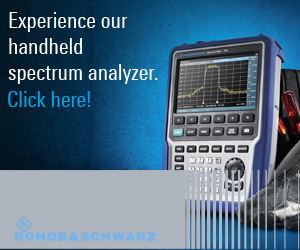 Please contact your local ADI representative for pricing details.